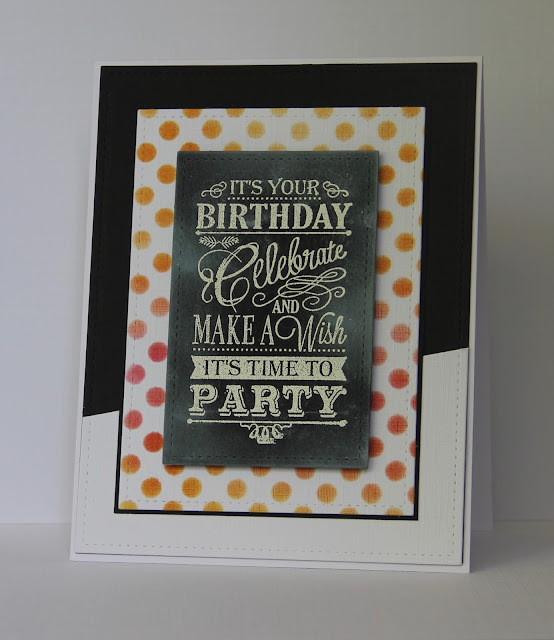 I used Paper Smooches new Polka Dot Border Die as a stencil and sponged the spotty background in a variety of distress inks, then added a chalkboard greeting by Whimsy Stamps. I'm also going to link this one up to Freshly Made Sketches although I may be pushing it a little this week as I've made a few alterations! Totally fun card! Love the chalkboard effect! Glad you joined us at FMS! Love that chalkboard sentiment. So fabulous! Thanks so much for playing with us at Time Out! Fantastic design Claire, love the colorful polka dots!! I love the way you did the coloring on the stencil and your chalkboard effect is perfect! Really like the way you angled the two background pieces, too! 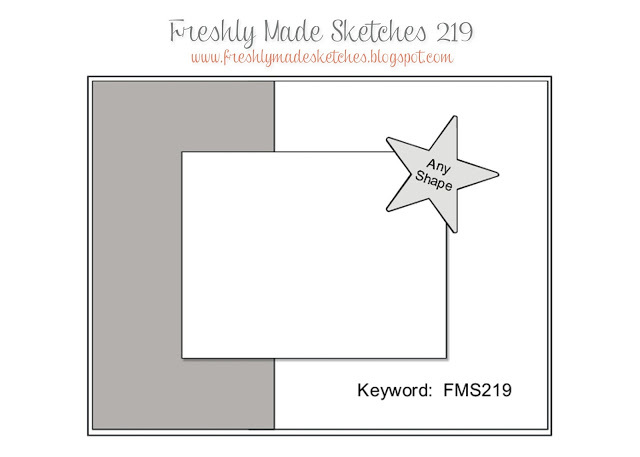 Thanks for playing along with my sketch at FMS this week!